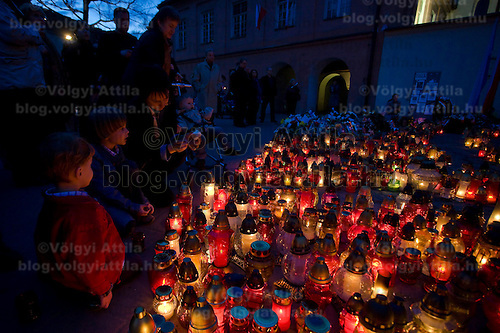 People light candles in front of the Wawel castle after the funeral of late Polish president Lech Kaczynski and his wife Maria Kaczynska in Krakow, Poland. Sunday, 18. April 2010. ATTILA VOLGYI The presidental coupple died in the tragic airplane accident at Smolensk in Russia.